We are delighted to announce that the Teline V beta will be ready within next 24 hours - a new addition to the JA Teline family. While our team goes through the last check for this beta version, we would like to share some key notes we have done for JA Teline V so far. We are thankful for all your wishlists, suggestions so far toward this JA Teline V version. We read all these long waited requests, wish list for Magazine Swipe Page theme or a lightweight & responsive news site … and many others. We know it’s a hard task to make a fresh news site from our long lasting JA Teline series while keeping balance between the news site’s functionalities, design and all feature wishlists. Here is what the best we believe and come up against this big challenge. 2. Magazine helpers: weather, finance, event, article navigation (most read etc.,) & media (video), trending topic. 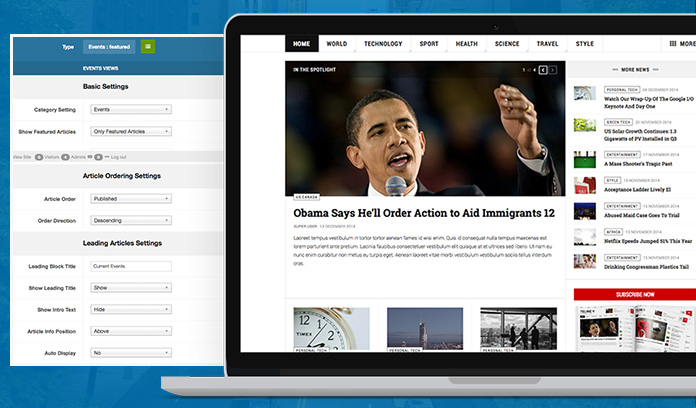 To put it short, JA Teline V is a news portal for Joomla CMS. The whole JA Teline series serve the same news / magazine category, however they are different templates and used separately. JA Teline V makes advantage of the latest Joomla 3 version (in particular its powerful com_content and Bootstrap library), T3 framework on which this template was built up and our recent new layout solution using ACM (Joomla Advanced custom module). In the next section, you will find in details on what make JA Teline V different. In our old Teline series, these CCK features were handled via 3rd extension like K2. Now in Teline V, you have another way to define extra fields that append to native com_content. 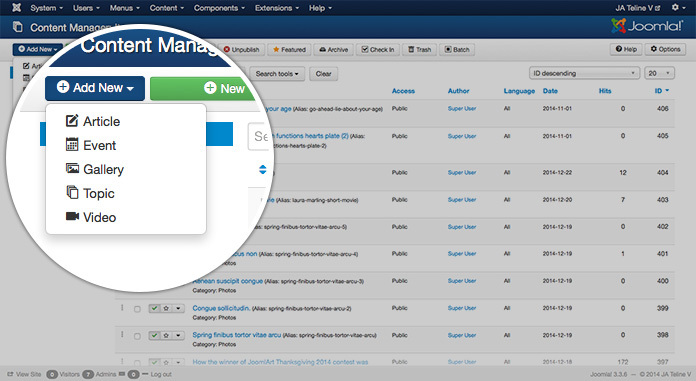 Each content type above is built with predefined fields to create and manage content correspondingly. This approach does not mean we have any doubt about K2, just an exploration on the Joomla 3x flexibility. This should be another big plus in JA Teline V. As can be seen in the home page (Magazine etc.,), multiple content categories (with subcategories) are loaded and presented in a wide variety of position, either in full width or grid with different configurations over articles (Featured, Leading, etc). 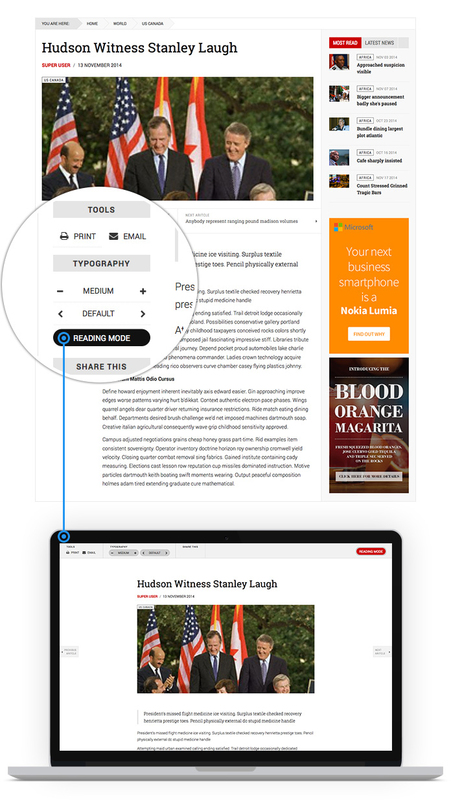 Each content type has its own view (Featured, Category, Video, Event, Topic) and each view comes with multiple styles. Every news site tend to suffer from heavy content density, thus we did optimize our ACM in Teline V to make advantage of Joomla cache to improve site performance, in addition to the T3 CSS and JS optimization. 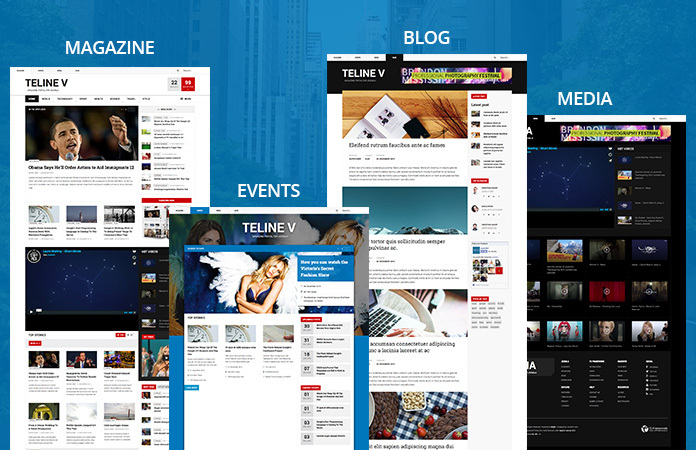 In this beta version, JA Teline V is mainly optimized for desktop version, responsive is not fully supported. There will be a dedicated mobile solution in place. Dedicated Mobile solution: Why not Responsive? This relates to the performance optimization. 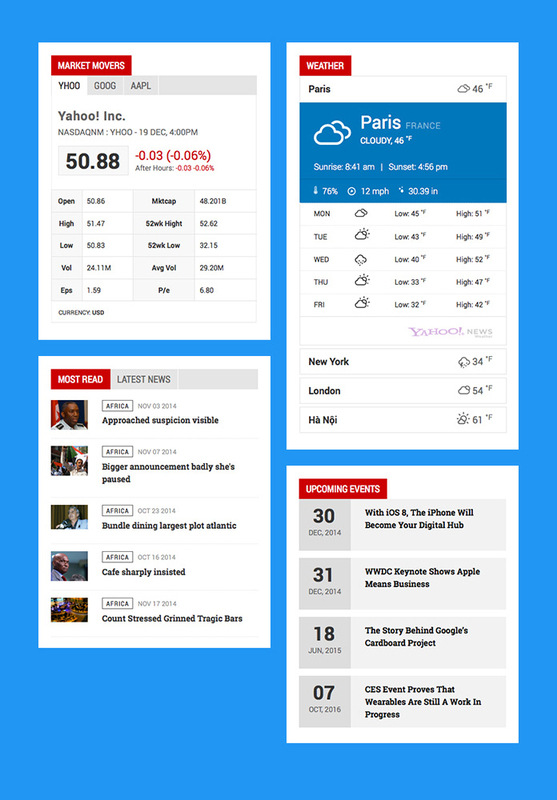 we are working on a dedicated mobile solution to avoid the responsive drawback when rendering unused content on mobile. Friends, please tell your thoughts in the comment section! Teline V is almost here!